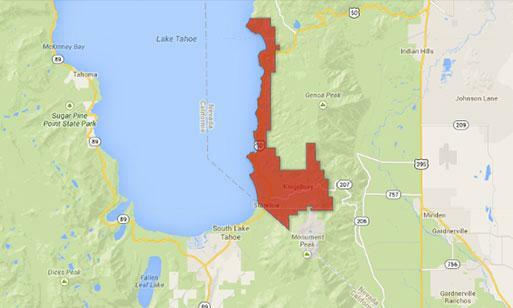 Tahoe Douglas Fire Protection District was formed in 1946 to meet the expectations of the community to guard against the threat of fire in the wildland urban interface. The challenge of meeting those expectations are dynamic which tasks us to be more innovative to respond through a professionally, highly-trained, well equipped organization in those expected services with concern for the well being of our personnel. To preserve and enhance the quality of life in our community through a professional, highly-trained, well-equipped organization which delivers quality fire suppression, prevention, education, emergency medical service, explosive ordnance disposal, haz mat, rescue and other services with concern for the well being of our personnel. We, as members of the TAHOE DOUGLAS FIRE PROTECTION DISTRICT, see our organization as a living, growing enterprise dedicated to the protection of life and property, while placing service to our constituents above self-interest. Through community involvement and partnership, we stand united in our dedication to seek out opportunities to enhance the quality of life in our community. We will responsibly implement practical public safety programs that educate our community and better prepare our citizens for a safe future. We strive for organizational greatness by our personnel and collective commitment to make choices that uphold honesty, trust, spirit and dedication to service, courage, and loyalty. Our commitment to the principles of shared leadership will add exponential value to us as employees, the citizens of Lake Tahoe as our customers, and the greater body of members of the County, State, and Nation.